This article is about the Imperial House of Japan after 1947. For before 1947, see Ministry of the Imperial Household. For Qing Dynasty organization, see Imperial Household Department. For the generalized concept, see Royal Household. The Imperial Household Agency (宮内庁, Kunai-chō) is an agency of the government of Japan in charge of state matters concerning the Imperial Family and also keeping of the Privy Seal and State Seal of Japan. From around the 8th century AD up to the Second World War, it was named the Imperial Household Ministry (宮内省, Kunai-shō). The agency is unique among conventional government agencies and ministries, in that it does not directly report to the Prime Minister at the cabinet level, nor is it affected by legislation that establishes it as an Independent Administrative Institution. The current Grand Steward is Noriyuki Kazaoka. The agency's headquarters is located within the grounds of the Imperial Palace in Tokyo. The Agency's duties and responsibilities encompass the daily activities, such as state visits, organising events, preservation of traditional culture, administrative functions, etc., the agency is also responsible for the various imperial residences scattered throughout the country. Visitors who wish to tour the Tokyo Imperial Palace, the Kyoto Imperial Palace, the Katsura Detached Palace, and other sites, should register for guided tours with the agency first. The Agency has responsibility for the health, security and travel arrangements of the Imperial family, including maintaining the Imperial line. The Board of the Chamberlains, headed by the Grand Chamberlain, manages the daily life of the Emperor and the Empress. It also keeps the Privy Seal and State Seal of Japan. A "Grand Master of the Crown Prince's Household" helps manage the schedules, dining menus, and household maintenance of the Crown Prince and his family. The Imperial Household Agency can trace its origins back to the institutions established by the Taihō Code (or more formally "The Ritsuryō Code of the Taihō era" (大宝律令, Taihō Ritsuryō)) promulgated in 701–702 AD. The Ritsuryō system established the namesake Ministry of the Imperial Household (宮内省, Kunai shō) which is a precursor to the present agency. The old code also gave rise to the Ministry of Ceremonial (式部省, Shikibu shō) which has its legacy in the Board of the Ceremonies (式部職, Shikibu shoku) under the current agency, and the Ministry of Civil Administration (治部省, Jibu shō) which oversaw the Bureau of Music (雅楽寮, Uta ryō) that would now correspond to the Agency's Music Department (楽部, gakubu). The basic structures remained in place until the Meiji Restoration (1868). The early Meiji government officially installed Imperial Household Ministry (宮内省, Kunai shō) on 15 August 1869. [lower-alpha 1] However, there is a convoluted history of reorganization around how the government bodies that correspond to constituent subdivisions of the current Agency were formed or empowered during this period. The Department of Shinto Affairs (神祇官, Jingi kan) and later the Ministry of Shinto Affairs (神祇省, Jingi shō) (1871–1872) were briefly in existence and placed in charge of, e.g., the Imperial mausolea under the Office of Imperial Mausolea (諸陵寮), one of the tasks designated to the Agency today. The Bureau of the Ceremonies was initially under the sway of the Great Council of State (太政官, Dajō kan) but was transferred to the control of the Imperial Household Ministry in September 1877. The Bureau underwent yet another name change to Board of Ceremonies (式部職, Shikibu-shoku) in October 1884. Since then, the name remained unchanged and is, today, headed by the Master of Ceremonies. An Imperial Order in 1908 confirmed that the Imperial Household Minister, as the chief official was then called, was responsible for assisting the Emperor in all matters concerning the Imperial House. The ministry also oversaw the official appointments of Imperial Household Artists and commissioned their work. In 1949, Imperial Household Office became the Imperial Household Agency (the current name), and placed under the fold of the newly created Prime Minister's Office (総理府, Sōrifu), as an external agency attached to it. 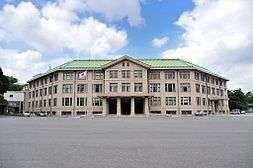 In 2001, the Imperial Household Agency was organizationally re-positioned under the Cabinet Office (内閣府, Naikakufu). The Agency has been criticized for isolating members of the Imperial Family from the Japanese public, and for insisting on hidebound customs rather than permitting a more approachable, populist monarchy. These criticisms have become more muted in recent years; Emperor Akihito has himself done much to make the Japanese monarchy less aloof. Prince Naruhito, in May 2004, criticised the then-Grand Steward of the Imperial Household, Toshio Yuasa, for putting pressure on Princess Masako, Naruhito's wife, to bear a male child. At a press conference, Naruhito said that his wife had "completely exhausted herself" trying to adapt to the imperial family's life, and added "there were developments that denied Masako's career (up to our marriage) as well as her personality." It has officially been stated that Masako is suffering from an "adjustment disorder", but there has been extensive speculation in the press that she is suffering from clinical depression as a result of her treatment by Imperial Household officials. Increasingly in recent years, the Agency's prevention of archaeological research regarding a large number (more than 740) of Kofun Period tombs putatively designated as "imperial" has come under criticism from academics. Such research, particularly on the ancient tombs in the Kansai region of western Japan, has the potential to yield a great bounty of information on the origins of Japanese civilization. The possibility that such finds could verify theories of formative civilizational ties with contemporary civilizations in China and the Korean Peninsula, with commensurate influence on thought about the origins of the Imperial Household itself, is generally considered to be the greater part of the jealousy with which the agency guards its authority over this large number of tombs (many of which are likely imperial only in name), and prevents scientific inquiry into these sites. The Imperial Household Agency is headed by the Grand Steward (Imperial Household Agency Law, Article 8-1), whose appointment or dismissal is subject to the Emperor's approval (Article 8-2). The Grand Steward is vested with comprehensive control over administrate activities within the agency, and supervisory authority over the service performance of the staff (8–3). He is empowered to interact with the Prime Minister on matters pertaining to the agency's authorized duties, either requesting the issuance of Cabinet Office ordinances (8–3), or notifying him on pertinent matters (8–4). He has the authorization to hand down orders or directives to staff members of government organs under the agency's direct control (8–6), and may also request the Commissioner-General of the National Police Agency to take appropriate measures regarding administrative duties that involve the civilian Imperial Guard (皇宮警察, Kōgū Keisatsu). The Grand Stewardship is a post customarily filled by former administrative vice-ministers (≒permanent secretaries) at one of several internal affairs (home affairs) type ministries and agencies, or someone with a closely approximating curriculum vitae (e.g., Superintendent General of the Tokyo Metropolitan Police Department), after having served as Vice-Grand Steward. 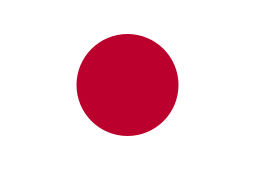 2 Tajima Michiji 5 Jun 1948 – 31 May 1949 Civilian cont. ↑ The name is exactly the same as the ministry since ancient times, though it is tempting to artificially render them differently in English ("Imperial Household Agency" vs. "Ministry of the Imperial Household"). It should be noted that the Japanese were using the lunar date of "July 8, Meiji 2." ↑ Kishimoto 1956 keeps calling it "Board of Ceremonies" instead of "Bureau" even after the name change. ↑ Wilson, Robert Arden (1978). "Genesis of the Meiji government in Japan, 1868–1871". Greenwood Press: 133. ISBN 978-0-837-19091-4. ↑ Kishimoto 1956, p. 65, "Within a year, the Department of Religion and Education (kyobu sho) superseded the Shinto Ministry." ↑ Kishimoto 1956, p. 69, "The actual directive which abolished the Shinto Ministry on April 21, 1872, read in part as follows: 'Let the purely formal functions be transferred to the Board of Ceremonies, while the Department of Religion and Education take over the duties ...'"
↑ Thal, Sarah (2005). Rearranging the Landscape of the Gods: The Politics of a ... (snippet). University of Chicago Press. p. 157. ISBN 978-0-226-79421-1. ↑ 大蔵省印刷局 (National Printing Bureau), ed. (1947-04-18). "法律" (NDL). 官報 (Kanpō "Official Bulletin") (6076). (Text of Imperial Household Act) Article 13 stipulates authority under premier. ↑ Hudson, M. (1999). Ruins of Identity: Ethnogenesis in the Japanese Islands. Honolulu, HI: University of Hawaii Press. ↑ Oguma,E. (2002). A Genealogy of 'Japanese' Self-images (translated by David Askew). Melbourne: Trans Pacific Press. ↑ Edwards, W. (2000). Contested access: The Imperial tombs in the postwar period. Journal of Japanese Studies, Vol. 26, No. 2, 371–392.